Oh my goodness, little Miss Olivia Wren! 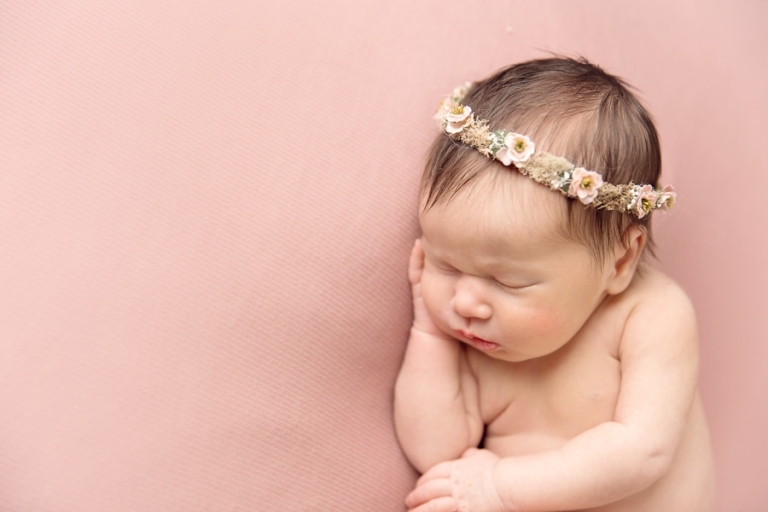 This little sweetie came for her Newborn Photos Akron session at 15 days new. Just look at that sweet face and full head of hair! She was so sweet! Her parents traveled an hour to for her session, it’s always such an honor when clients make such an effort to make their session! Olivia’s momma requested white, pink, and grey for her colors. She loves everything girlie so hopefully we nailed that with her session! This background from Intuition Backgrounds and tieback by Created by Carli fit the bill perfectly for her session! And this nest by Handmade by LuLu is always a favorite. Why yes, I am obsessed with soft pinks, ruffles, bear hats, and the potato sack pose!! <3 This pink wrap is by far my favorite…it’s made several appearances on my Facebook page and blog. Nothing by love for this wrap and little one! 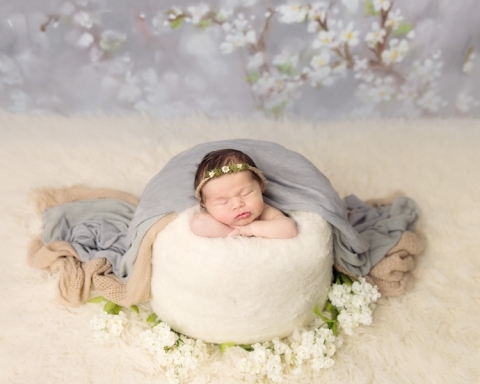 Ah this little halo from Baby Bliss Props is another go to! Does it look familiar?? They are so easy to slip on and off that I find myself only using them. Olivia’s momma loved this bowl and I’m not too sure if Olivia agreed with her. The magical wrap saved the shot though! Love this cream set up, it’s simply timeless! This skirt and tieback set from Petals and Plaid Children’s boutique. It’s gotten a lot of use of the years! I’m such a sucker for textures! This little trencher from Luneberry makes the perfect prop to layer all the goodies into! Doesn’t Miss Olivia look snug as a bug?? Looking for Newborn Photos Akron? 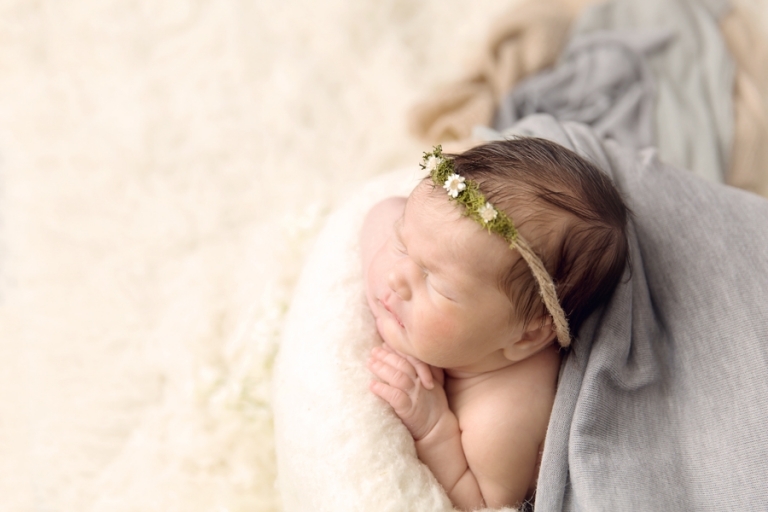 Mary Christine Photography is a Cleveland newborn photographer that specializes in maternity, newborn and baby photography. She serves greater Northeast Ohio, including Cleveland, Akron, Medina, Wooster, Brunswick, Wadsworth, Canton and surrounding areas.